Ah, the cruise life. Imagine a blissful week away from the daily stresses and drudgery, complete with a soak in the hot tub, leisurely dinners full of genteel conversation and some quiet reading -- or snoozing -- in the sun. That is, until a gang of rugrats swamps the hot tub, whines through dinner and comes careening around the sun deck, all high-pitched shrieks and spraying water. 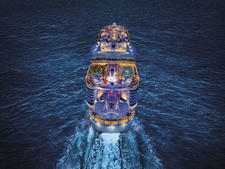 Like it or not, the mainstream cruise lines are family-friendly. This is a boon for parents and multigenerational groups looking for trips with something for everyone. It's less appealing for couples and groups of adult friends who aren't won over by wee travelers ... or parents hoping desperately for some time to themselves while the grandparents stay home with the kids. Although cruise lines do their best to occupy the under-18s with kitted-out kids clubs and dawn-till-dusk activities (not to mention late-night parties and babysitting), kids have been known to run free on ships, hanging out in stairwells, incessantly riding the elevators and generally annoying their elder shipmates. If you don't want to put up with wayward whippersnappers on your cruise, you don't have to. Many adult cruises sail entirely kid free or with a minimal number of well-behaved tykes. 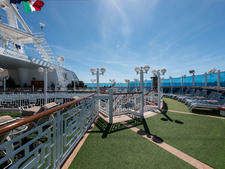 The key is picking ships and itineraries with reduced family appeal. The following cruise types are tops for sailing without the brat pack onboard. Plus we have a few tips for avoiding kids on a cruise when you don't want to give up that mainstream, peak-season sailing. Cruising with kids? See our Family Cruises section for the best cruises for babies, kids and teens. The intimate ships of high-end lines like Silversea Cruises, Seabourn Cruise Line, SeaDream Yacht Club and Regent Seven Seas Cruises (or ultra-premium lines, such as Oceania Cruises, Windstar Cruises, Azamara Club Cruises and Viking Ocean Cruises) are refined, dignified and geared to adults. They're also among the industry's most expensive lines. Those factors combined mean you'll find few kids onboard. While some luxury ships offer the occasional children's program during holiday periods, the vessels won't be overrun with youngsters, and those who do go tend to be well-behaved, well-traveled tykes and teens (possibly accompanied by nannies to keep them in check). A schedule of culturally focused walking tours in historic cities and a lack of mega-ship amenities (production shows, youth lounges, etc.) tend to keep river cruises kid free. (In fact, some middle-aged travelers claim they're not old enough for river cruises either -- but that's another story.) The exceptions are family-focused theme sailings, which usually take place during the summer. But, on average, you can take your pick from the rivers of Europe, America, Egypt and Asia, and enjoy local wines and scenic cruising in an appropriately sedate atmosphere. Your safest bet if you're looking for adult cruises is to sail on a ship that doesn't allow any children onboard at all. Yes, adults only cruises do exist, but there aren't too many. P&O Cruises, a British line, keeps certain ships -- Arcadia, Oriana and, as of April 2019, Aurora -- as adults only. You must be 50-plus to sail with Grand Circle Small Ship Cruises or U.K.-based Saga Holidays (though travel companions can be as young as 40). Voyages to Antiquity cruises are deemed "unsuitable for children under the age of 12," and children younger than 16 are dissuaded from cruising. When Virgin Voyages debuts in 2020, all of its ships will be 18+. 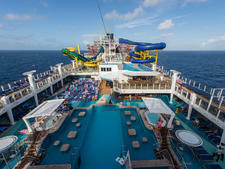 You might also find lifestyle-based full-ship charters that are kid free (such as cruises for nudists or gay couples). Kids can certainly be world travelers, but generally speaking, the more exotic the itinerary, the fewer families it will attract. Try cruises to the Far East, South Pacific, Africa, the Arctic and Antarctica, and you'll typically find more adult-oriented environments. Even lines that ordinarily attract families will have fewer on these sailings. 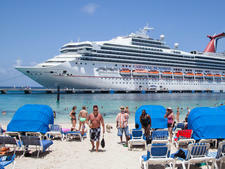 Families tend to take weeklong or shorter cruises. For adult-only cruises, choose a longer itinerary, and you're pretty much guaranteed to be sailing with fewer kids. If you're set on the Caribbean, choose a 10-night or longer itinerary, particularly those that include a full or partial Panama Canal transit. For Hawaii, skip the round trip Honolulu itineraries, and opt for the two-week round trips out of Southern California. Lengthy repositioning cruises, grand voyages and world cruise segments have a good shot at being kid free, as well. You can employ certain tricks for escaping kids on a cruise -- particularly mainstream, peak-season sailings -- but it probably will cost you. Booking a suite is a great way to minimize encounters with young cruisers. Choose a suite with a large balcony and maybe even a whirlpool tub to reduce your time spent on public sun decks and in public lounges. Some exclusive suite complexes on lines like Celebrity, Norwegian and MSC Cruises even come with pools, gyms, restaurants and lounges only accessible to suite residents. (Though, beware, families do frequent these top digs.) 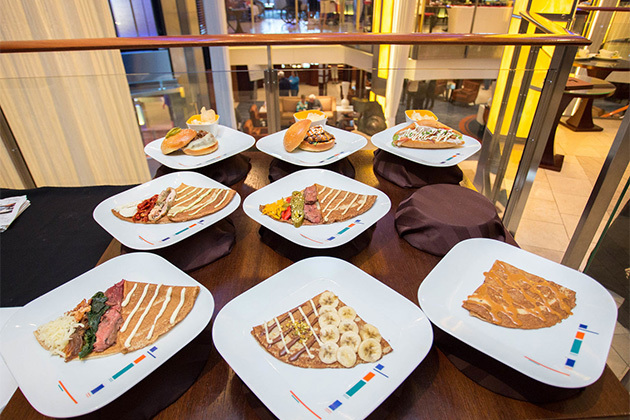 If you book a suite on select Royal Caribbean ships (or if you're a Pinnacle member of the line's loyalty program), you'll be able to eat at private restaurant Coastal Kitchen. That doesn't necessarily guarantee you won't encounter kids during your meal, but it's likely the few -- if any -- you encounter will be on their best behavior. If you can't afford the splurge, seek out kid-free spaces onboard. Whether it's the spa, casino, an adults-only sun deck or a bar after hours, there's generally at least one adults-only hangout onboard each ship. Even Disney Cruise Line has an adults-only entertainment district on its ships. Choose the late dinner seating, or, better yet, dine in specialty venues (the later the better) to dodge dining with the ankle-biters. At the very least, try to book a veranda cabin for some outdoor privacy and take advantage of room service rather than braving the buffet at peak hours.